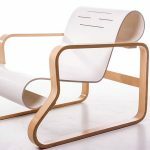 Combining a traditional outline with a light, organic form, this revolutionary interpretation of the club chair set new standards in modern furniture design. 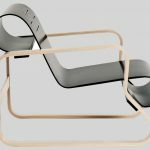 Fixed to the frame at only four points, Armchair 41’s suspended seat appears to float and provides an astounding degree of elasticity. 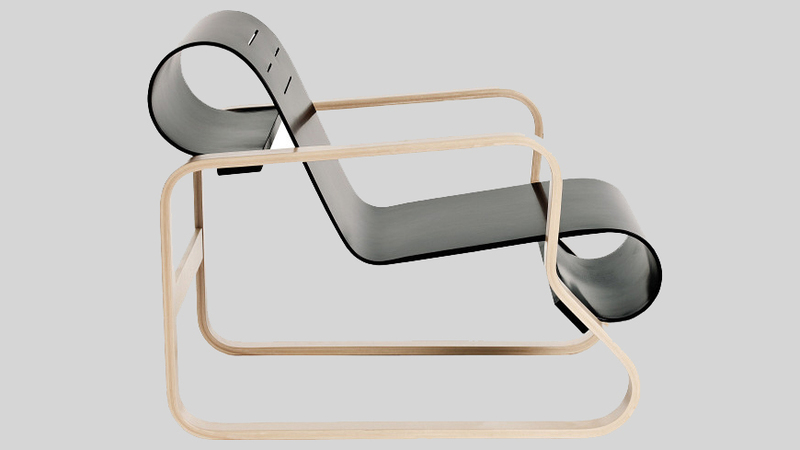 Since wood changes over time, the armrests are formed from a single piece that is then split in half, ensuring that as “Paimio” ages, it remains perfectly balanced. 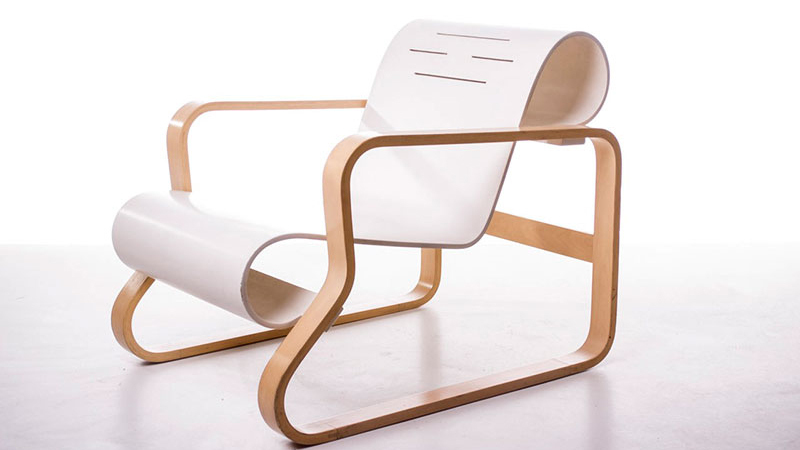 Designed by Alvar Aalto in 1932, Armchair 41 was created for the interior of a tuberculosis sanatorium in the Finnish city of Paimio and is considered one of Aalto’s masterpieces.